With a vintage modern flair, Markor is inspired by mid-century architectural design. Using a modular approach, Markor offers the ability to mix and match finishes and lights for a complete fixture suited perfectly for your home. This shade features an elegant silver chiffon material artfully wrapped to create a cylindrical outer profile with a conical inner profile. Mini lampshades make dressing up your chandelier a fun and easy project to instantly transform your room. This elegant shade has a casual drum-shaped silhouette and is dressed with rich, creme chiffon pleated fabric. A clip-on style bracket inside the shade attaches to an candelabra style light bulb. We recommend this shade as the perfect complement to the Thomasville Lighting Chanelle collection. Markor Collection Silver Chiffon Accessory Shade With a vintage modern flair, Markor is inspired by mid-century architectural design. Using a modular approach, Markor offers the ability to mix and match finishes and lights for a complete fixture suited perfectly for your home. 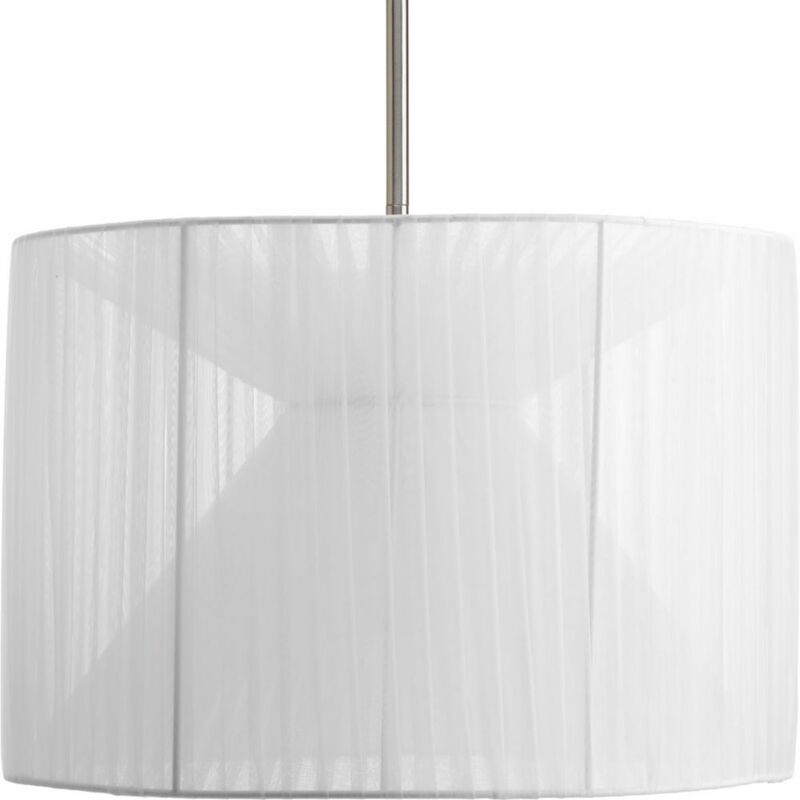 This shade features an elegant silver chiffon material artfully wrapped to create a cylindrical outer profile with a conical inner profile.